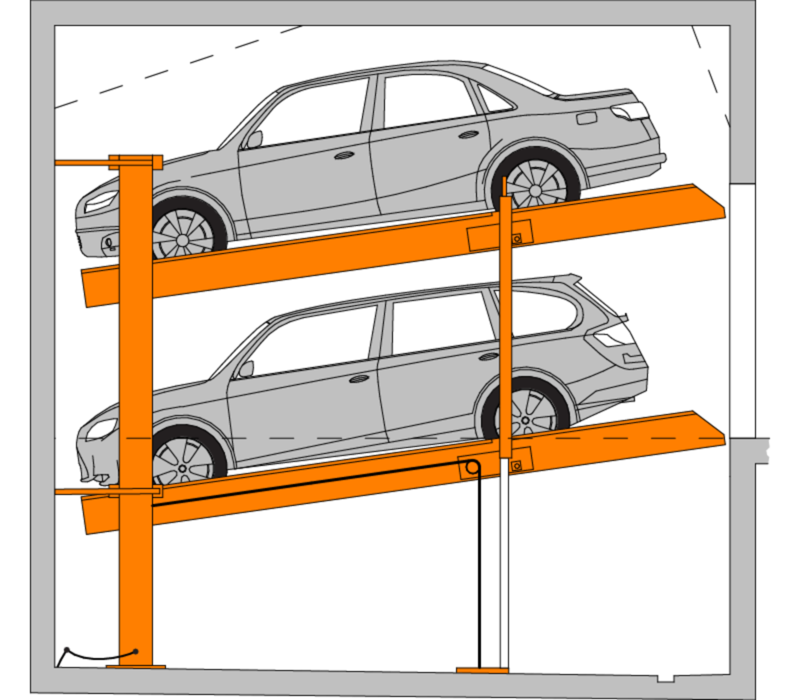 Suitable for stacking two to three cars vertically, our car stackers offer the best car parking solutions for private, residential and small-scale developments. Being able to build downward gives you a huge advantage. Each vehicle can be reached independently of any other, using a system with one or two platforms. 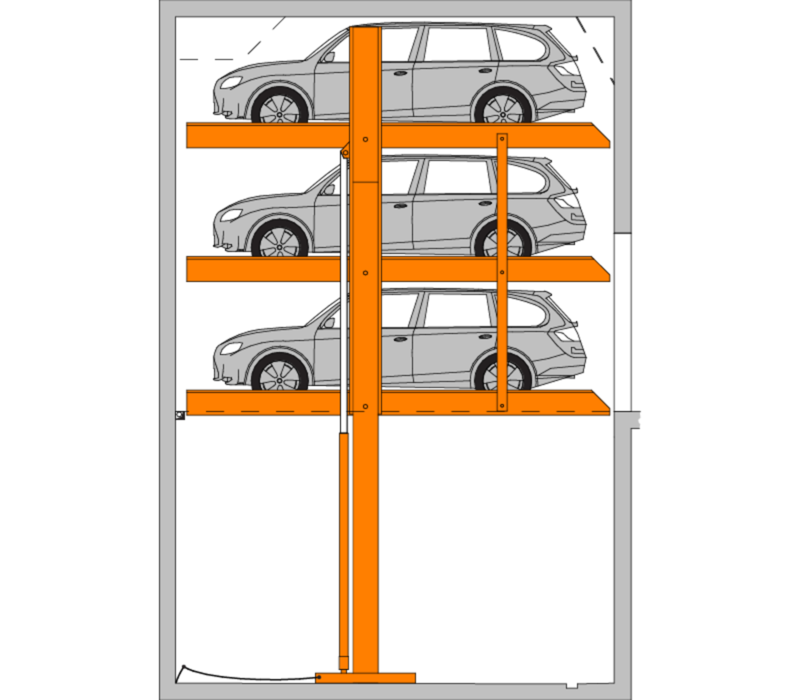 Our efficient stack parkers are the perfect solution when a pit is not an option. 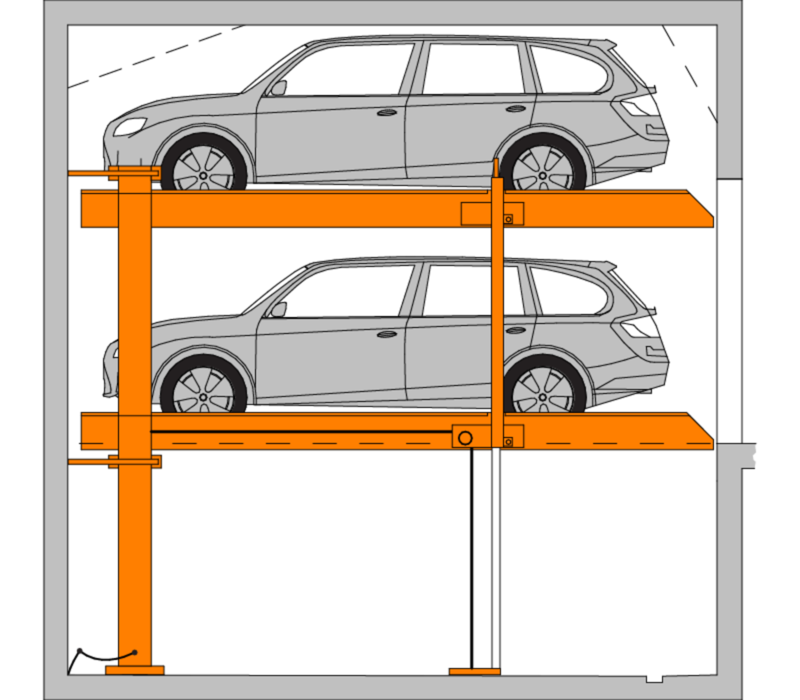 With these systems, vehicles are parked on platforms arranged one on top of the other. 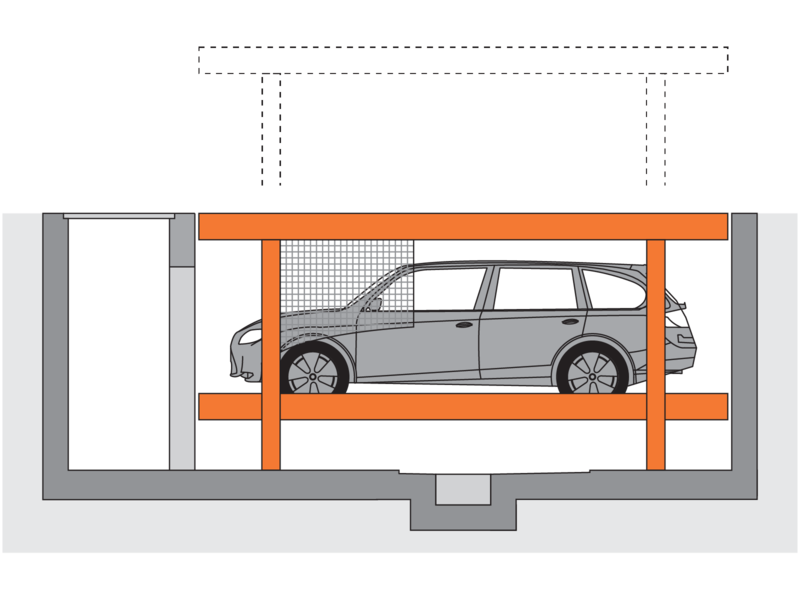 For us, this means dependent parking since the bottom parking space must be empty in order to lower the platform. These systems can be installed in existing buildings. 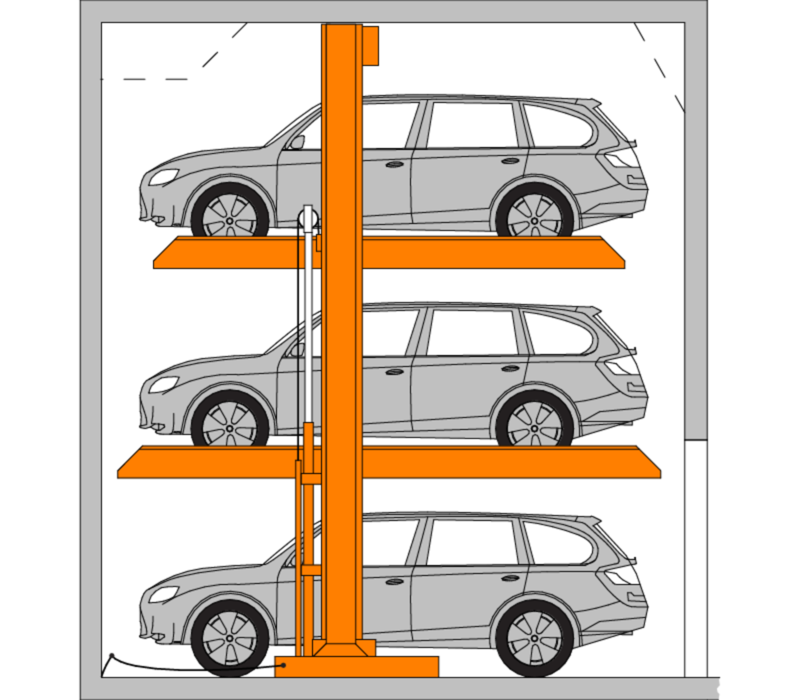 Depending on the height restrictions, systems that stack up to three vehicles high are available. The MultiVario 2078i is the most flexible system yet. This independent Stack Parker is customisable. 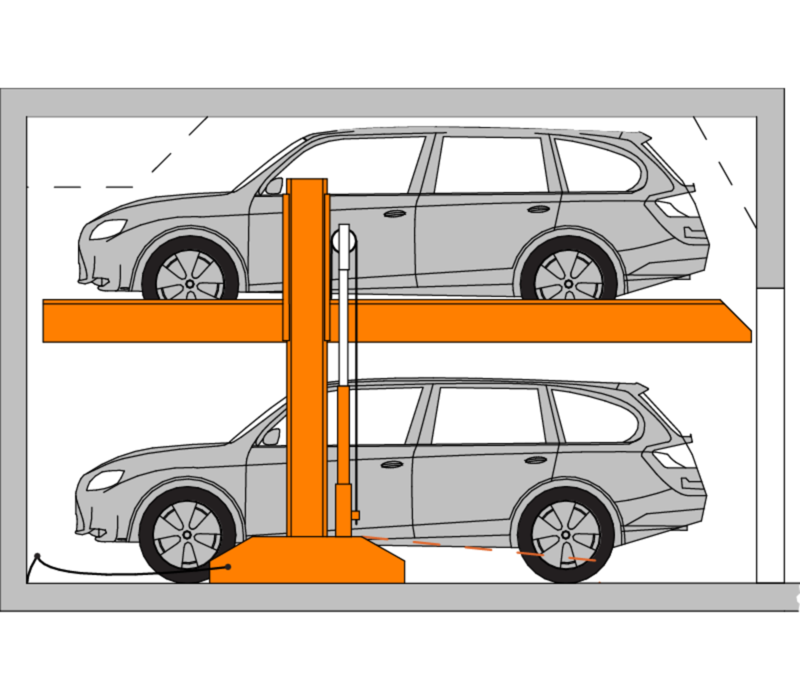 The G63 system is the only Stack Parker to provide independent parking for up to three levels of vehicles. 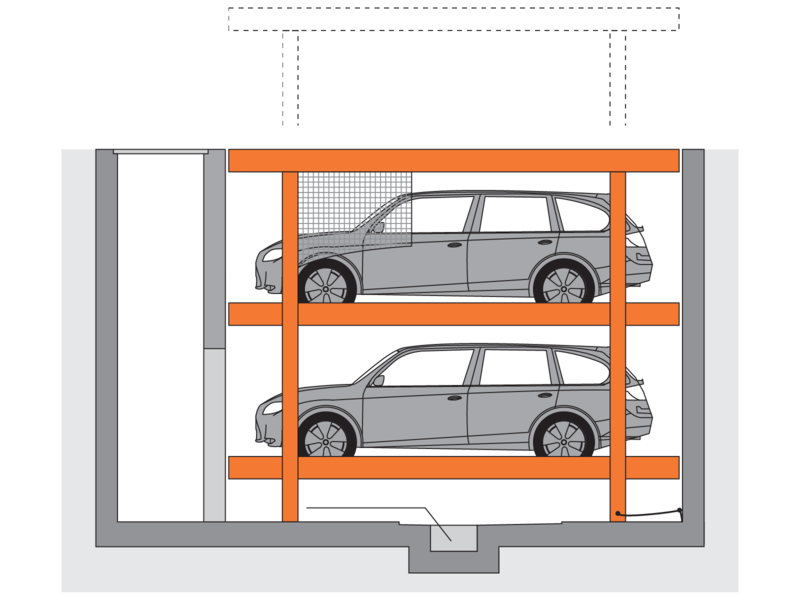 The MultiBase U10 is a completely retractable system, with lowerable parking spaces, flush to the ground and traversable. 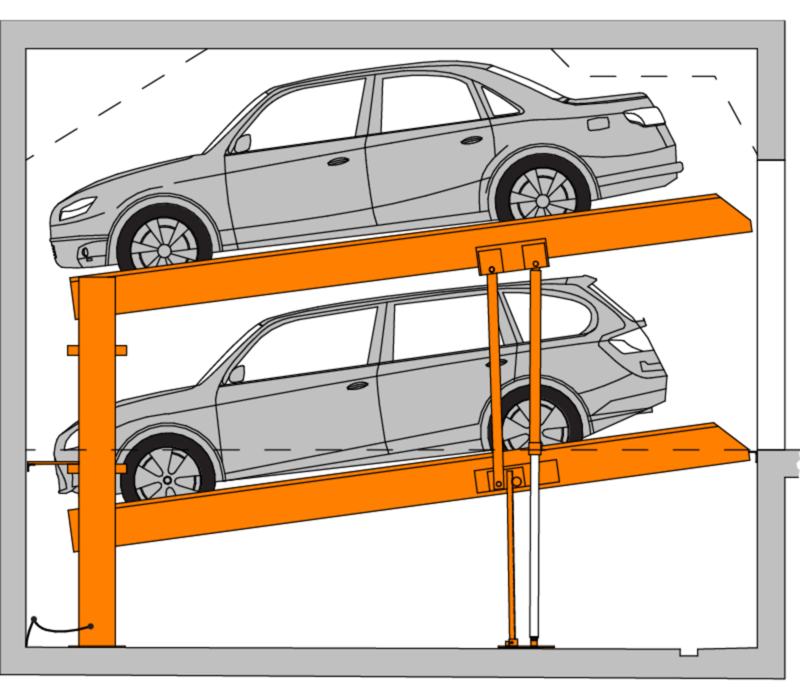 The MultiBase U20 is a completely retractable system, with lowerable parking spaces, flush to the ground and traversable. No pit is required for the SingleVario 2061, which provides an ideal solution for simultaneous long and short-term parkers. Fill in your details below to receive your exclusive KLAUS brochure. A range of servicing options to meet your needs.